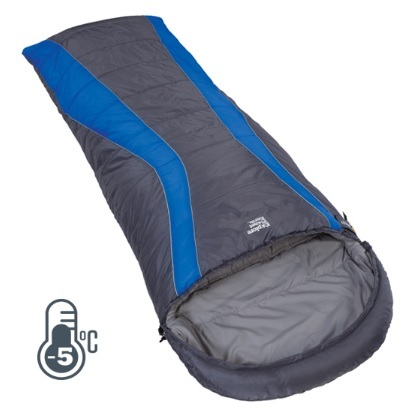 The EPE Buckley Adults Jumbo Hooded Sleeping Bag -5c Rated is a large bag that covers all of your camping adventures. The Maxotherm 4 filling is silicon coated making them soft and comfortable. This also prevents the individual fibres from matting and balling up, making them thermally efficient.